Please be careful on purchasing your own stove though. There are some important things to be aware of. There are many factors to consider before you install you fit your stove. Below are the key points you need to know before you decide to carry out any stove installation. For non obligation expert advice on stove installation get in contact and we’ll let you know exactly what you need. Can Create Your Perfect Focal Point. Buying the wrong output or size stove can result in you actually spending more money to rectify the problem. See our looking for a stove page for a brief buying guide or contact us for help. See here for more information. Buying a stove online means you’re actually buying a stove you’ve not actually seen. It may even be damaged when it arrives. And they are very heavy! Don’t expect any help from the couriers! If you buy a stove from an internet company, Many manufacturers only provide a 1 year guarantee. Stoves supplied and installed by companies like us generally receive a 5 year guarantee. See here for more information. If you have a stove you’ve inherited or been given, bought, its crucial we know its suitable for your home, where you live etc. Be so careful if you intend to buy a second hand stove. From our experience, many second hand stoves can be unsafe and potentially dangerous. Let us know what you intend on buying, we can happily advise you. see here on buying stoves second hand or online. Comprises of a free visit to your home at a suitable time and day. During the survey we utilise modern visualisation apps, loads of images of previous jobs and lots of help and guidance in order to gain an understanding of what you want. We discuss any concerns you may have regarding design, access, carpets, decorating etc and the main thing…prices. No pushy sales, No tactics. is usually sent with 48 hours via email or post. If you would then like to move forward with us, we book you a suitable installation date and at this point you are welcome to arrange a visit to our premises where we recreate your required installation using one of our room sets. We have beams, mantels, shelves and hearth samples on display. We’ll even aim to source the stove you’re wanting if you’re purchasing from us. This gives you the chance to see the actual stove you’re buying and allows you to ask lots of questions and test our knowledge even further! We take a small £100 deposit to proceed. is carried out usually within 6-8 weeks. We call you leading up to the installation to check everything is ok. We also call or email the day before installation to check access, parking etc. On arrival, we provide dust sheets and if needed, we’ll clear the room where possible to ensure everything is kept safe. During installation, we keep in contact with you regarding any specific requirements like how big the hearth is etc. As part of our service, we can arrange a delivery of logs and a log store from one of our selected suppliers. We provide a brief instruction before we go to ensure you’re happy with everything. is where we really shine! We’ll arrange to pop back and see you at a convenient time to ensure you’re happy with the job and we’ll go through the operation and explain how to maintain your new stove. 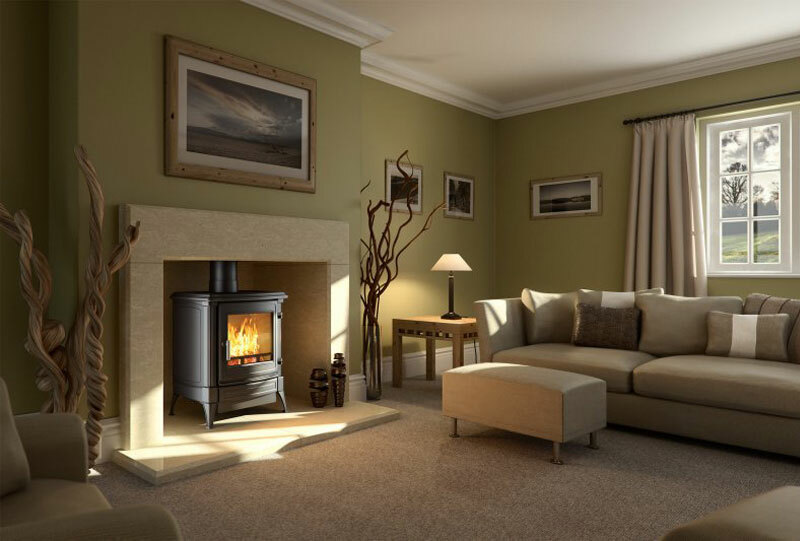 We can also arrange ongoing log deliveries and an annual chimney sweep and stove service to ensure your stove is always in perfect condition.